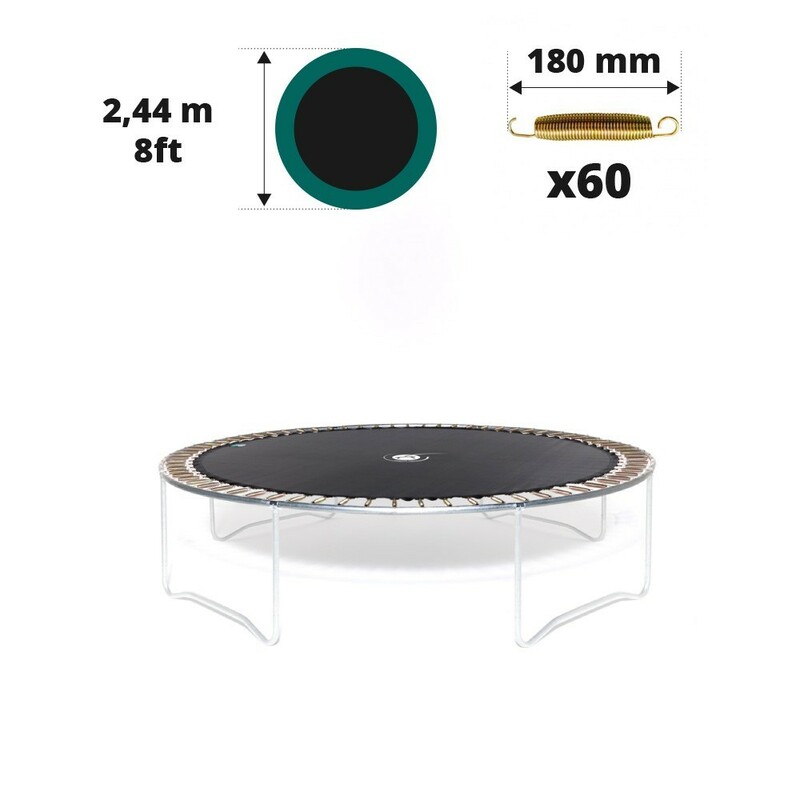 Jumping pad for 2.44 m trampoline with 60 springs of 180 mm in length. This jumping mat is for trampolines of 2.44 m in diameter with 60 springs of 180 mm, even if you did not buy it at France Trampoline. 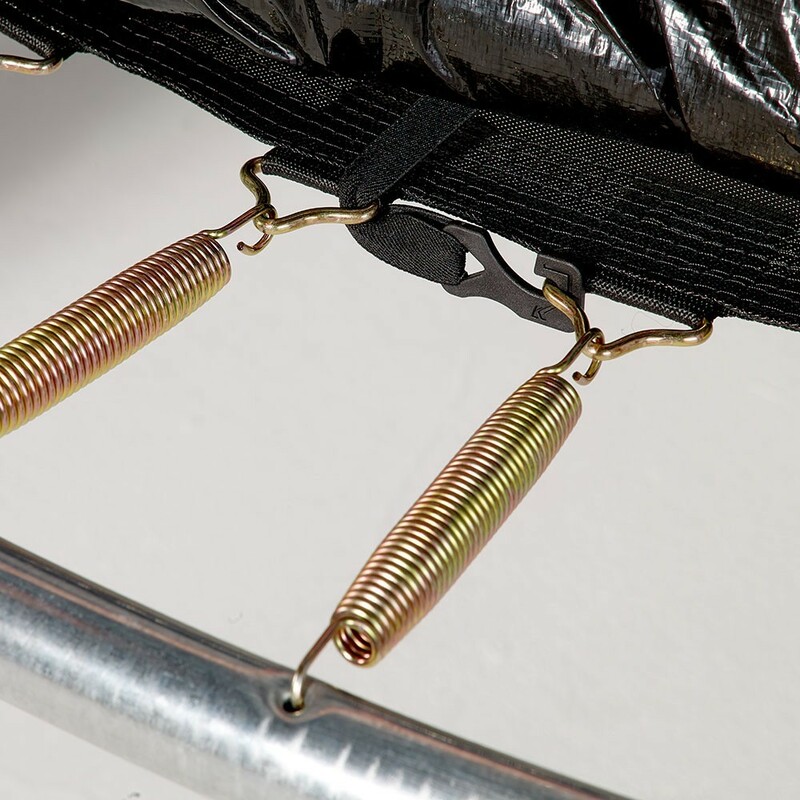 - This jumping mat is for round Jump’Up trampolines with 60 springs of 180 mm in length. 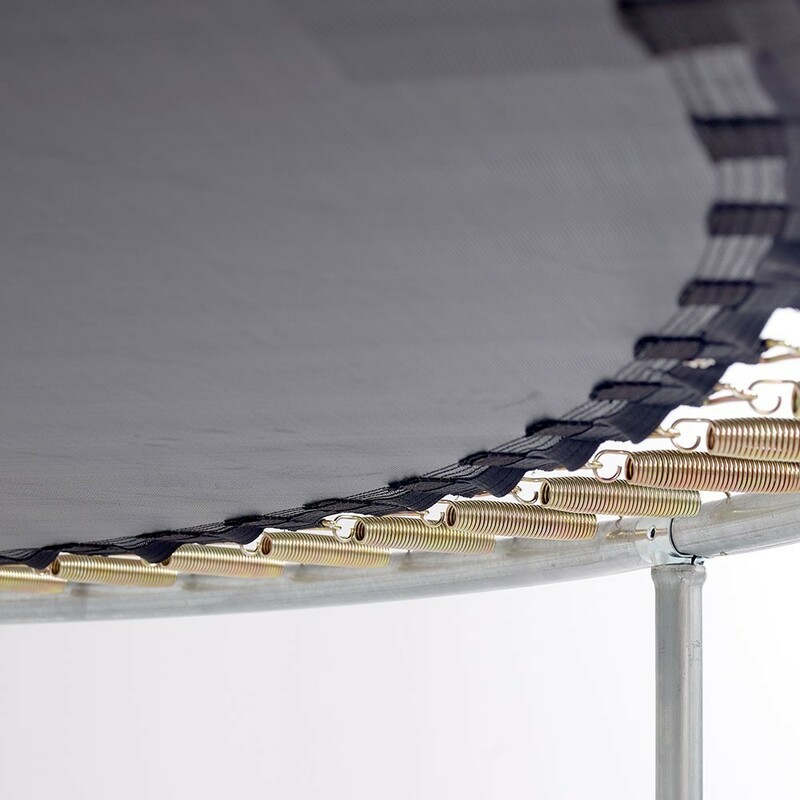 It can also be used on other trampolines from different brands, as long as its diameter is of exactly 2.44 m (steel edge to steel edge) and that exactly 60 springs of 180 mm in length are used. It is preferable to ask a second person to help you measure. 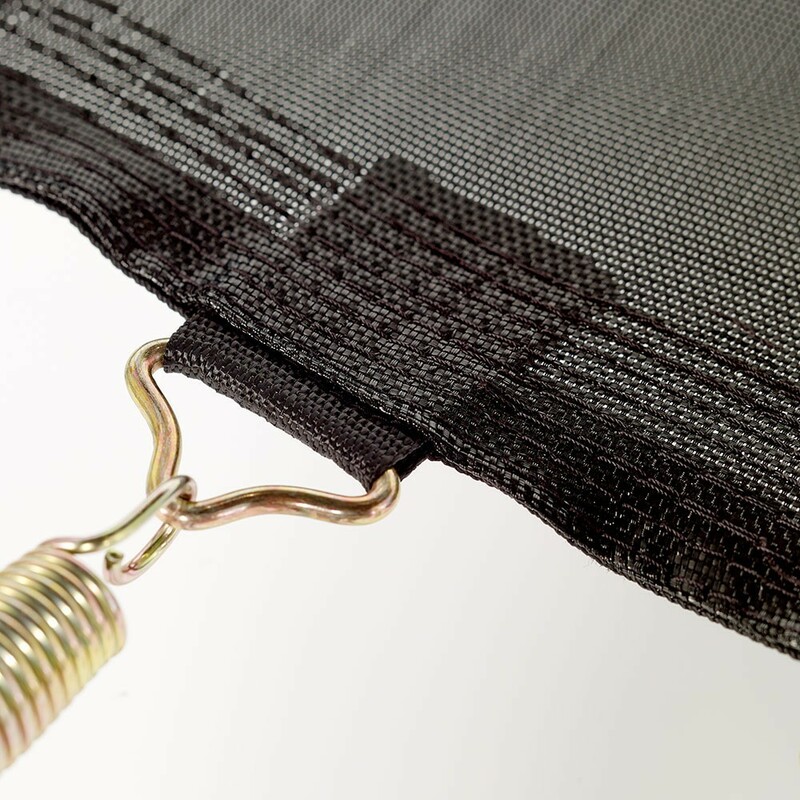 - Our jumping mats are made from mesh fabric, a material which is used everywhere in the world and has really proven itself to be incredibly shock and time resistant. They have also been UV protected which improves durability. 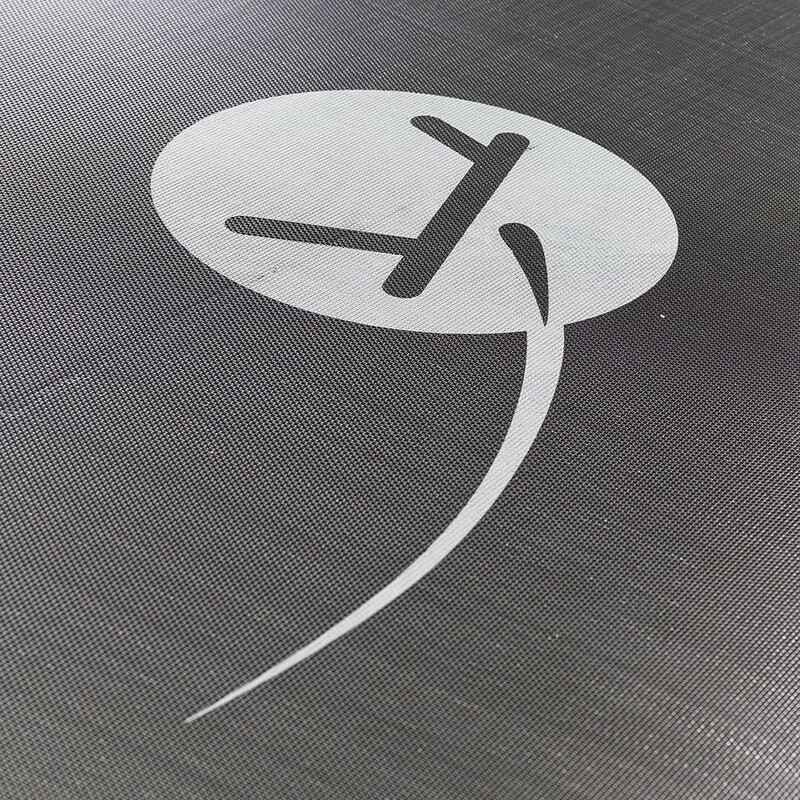 - On our range of jumping mats, you will find 8 rows of stitches and under the pad a reinforcement strip which holds the steels rings firmly in place. For extra solidity we use hot-dip galvanised steel rings that are resistant to rust. - This jumping pad is for trampolines with 60 springs of 180 mm in length. You should measure the springs by detaching one of them and taking the measurement from hook to hook. To remove it, press down firmly on the centre of the coil, so that you can pull on the hook, on the side closest to the framework of the trampoline. If your trampoline has slightly different measurements, please contact us so that we can help you to make an informed choice.